A blog about my life as a writer in the neighbourhood and what the neighbourhood kids write me. 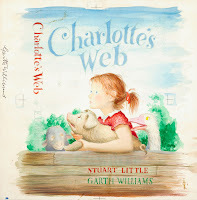 I'm a Canadian-born author who writes realistic fiction for children and adults that has a strong sense of place. Whether set in rural Pennsylvania or Northern Arizona, my novels are based on personal experience or archives and oral history. 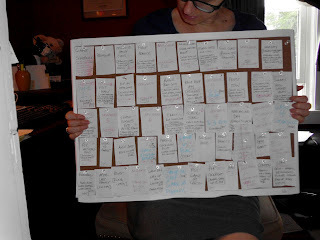 I blog about the author experience and the stories I find myself stumbling into, working from home in a neighborhood with nearly a dozen kids. A BRIIGHT IDEA--NOW BLOGGING ON MY WEBSITE! TIS THE SEASON ... TO FIND AN EASIER WAY TO CONNECT WITH YOU! It's been awhile since I've posted on Naturally Spoken, but I haven't left the blog-o-sphere world -- not by a long shot! 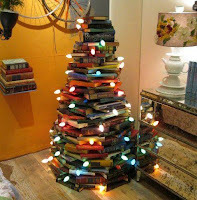 Like the lights on this really cool holiday book tree, I ran with the idea of having everything in one place (instead of getting tangled up in so many different wires!) So I've now got a new website which I post all my blogs on. 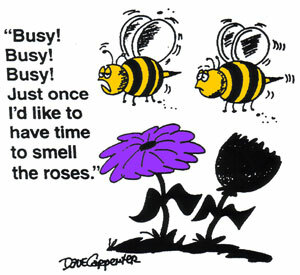 It's a much easier and more streamlined way for me to connect with you. Kind of a one-stop shop where you can peruse my books, read what's new and see my FACEBOOK STREAM . So grab your coffee or tea (hojicha's my new favorite), and come on in-- let's catch up. 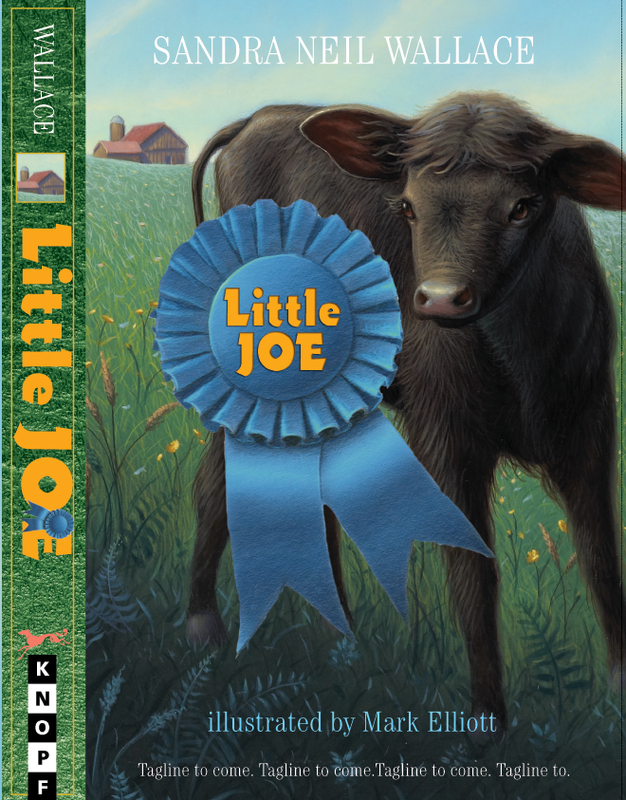 And while you're there, why not LIKE MY FACEBOOK PAGE to be entered to WIN A SIGNED COPY OF LITTLE JOE! Hope you enjoy my new posts and I can't wait to tell you about my new novel coming out in 2013-- MUCKERS. So competitive was multi-sport Babe Didrikson that it was hard for her to make friends on the women’s track and field team during the 1932 Olympics in Los Angeles. 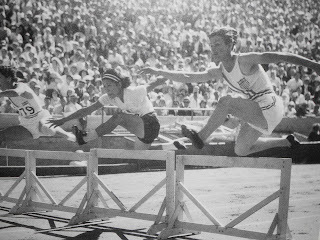 Even though Babe was expected to medal in each of her 3 events, her bravado and boasting may have denied her from being voted team captain, which was awarded to high jumper JEAN SHILEY. But by the end of the Olympic Games, Babe Didrikson (who everyone thought was 19 since she’d fudged her birth year, but was really 21) would be a household name and the “teen-age” star of the entire event. Babe’s first event was the day after the Opening Ceremonies, where she’d kicked off her tight new shoes in the Coliseum, to prevent the chance of getting blisters. 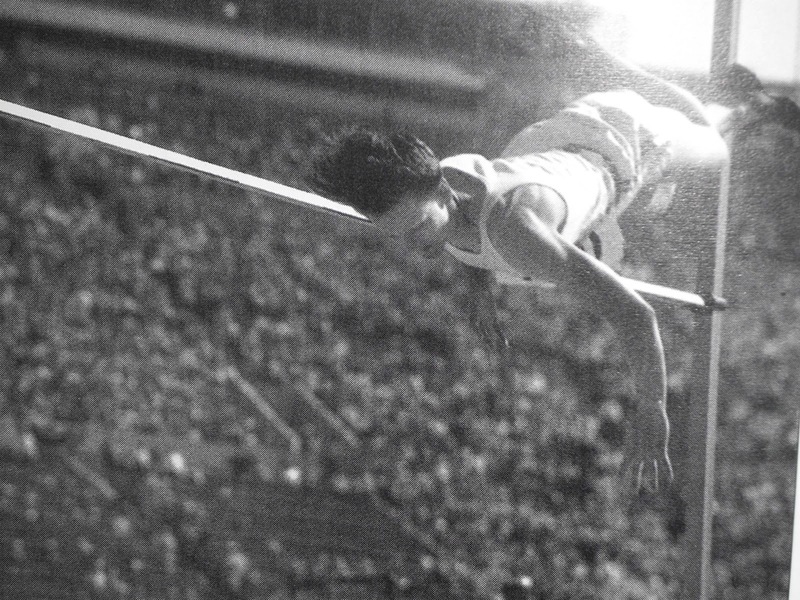 The following afternoon, Babe competed in the javelin throw. Each athlete was given three attempts. On Babe’s first try, she let the javelin fly and her hand slipped off the cord. A sharp pain shot through her right shoulder. The javelin flew close to the surface before finally cutting into the ground. When it was measured, Babe had set an Olympic record and broken her own world record with a throw of 143 feet 4 inches. The stadium cheered and Babe was beaming, though she’d torn a cartilage in her shoulder and her next two throws were weak. But Babe never told anyone how much her shoulder hurt. She’d just won her first gold medal. Two days later, it was time for the 80-meter hurdles. 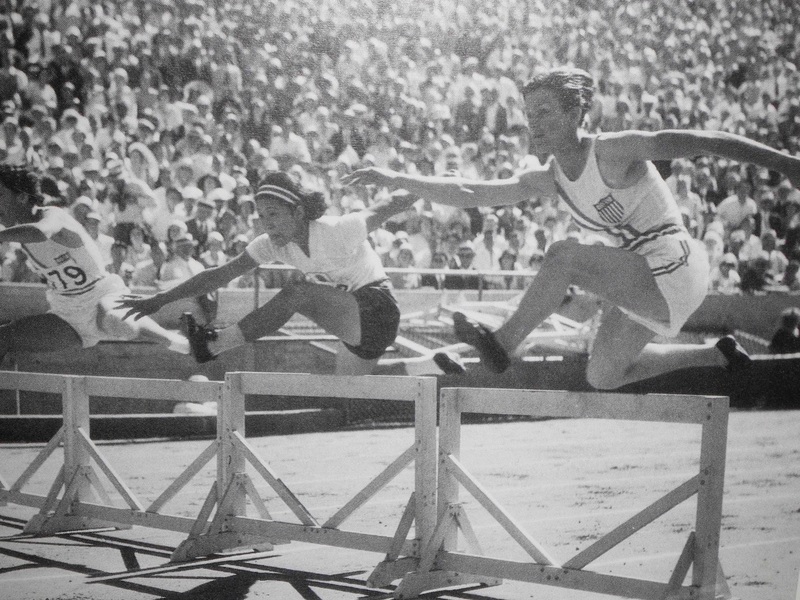 Babe Didrikson broke the Olympic and her own world record just qualifying for the finals. Her main rival for the event would be another teammate, EVELYNE HALL. Hall would race in the lane next to Babe for the finals. Full of energy, Babe jumped the gun and false started. But when the race finally went off, Hall surged ahead with Babe closing in fast. At the finish, Hall and Babe hit the tape together and it looked like dead heat. Regardless, it was a new world record of 11.7 seconds. “I won!” Babe was said to have proclaimed. But Evelyne Hall thought she’d won too. The medal was awarded to Babe—her second gold medal, even though it appeared to be a dead heat. 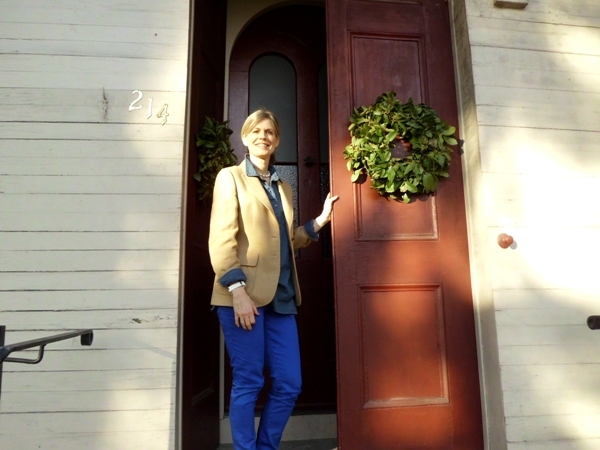 The outcome left Evelyne Hall with a disappointment she would never forget. It was now time for the running high jump. Headlines around the world were all about BABE and her shot at winning a third gold medal. Once again, her main rival would be another American, JEAN SHILEY—who had tied Babe for first place in the National Championships. When the bar was raised to 5 feet 5 inches, only Babe and Shiley remained. Both cleared the new record height. It would take a a jump-off to determine gold. The bar was raised to 5 feet 6 inches. Shiley jumped first and missed. Babe went and cleared the height but struck the standard on the way down and the bar toppled, deeming her attempt a miss, also. The bar was lowered to 5 feet 5 ¼ inches and this time, Shiley made it. Then Babe rolled in midair and cleared it, too, but the judges ruled it a dive, even though Babe had been jumping the same Western roll style all along. The jump was disqualified and Babe had to settle for silver. “What is it that sparks a story?” A reader asked me that question recently. For some writers it can be how an experience made them feel, an article they can’t get out of their mind, or a culmination of similar experiences that build until they’re strong enough to compound and shape a story. 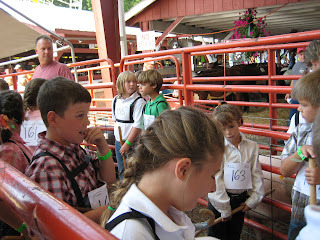 For me it was the look of a nine-year-old boy I barely knew in the 4-H barn at the county fair. 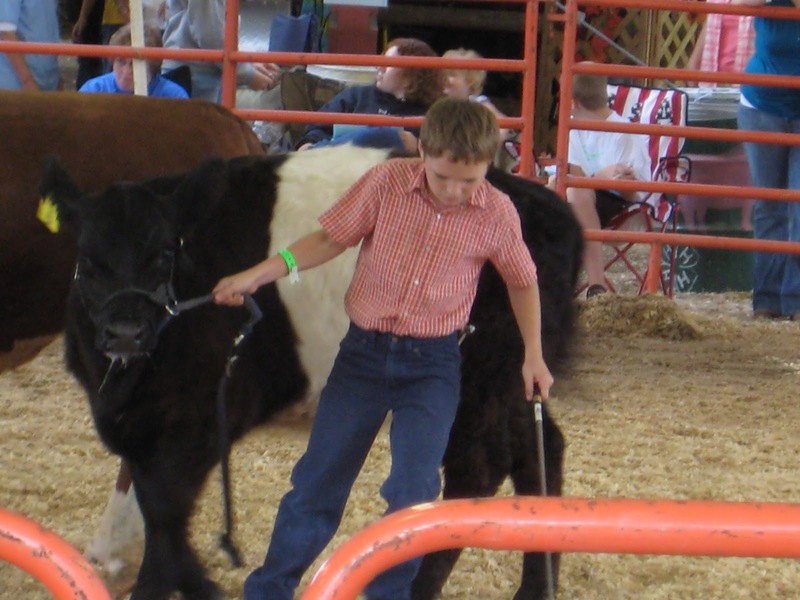 When the boy and his calf entered the show ring, the boy looked as if he’d seen a ghost. Around and around he went with his show animal, until the bidding stopped. I’ll never forget the look of that young boy once he’d sold his calf. He’d fled into the midway after letting go of the reins, but not before revealing his pain. And I knew I had to write about what he’d been feeling. That I had the end of my story, and now I had to go back to the beginning. That was four years ago today. 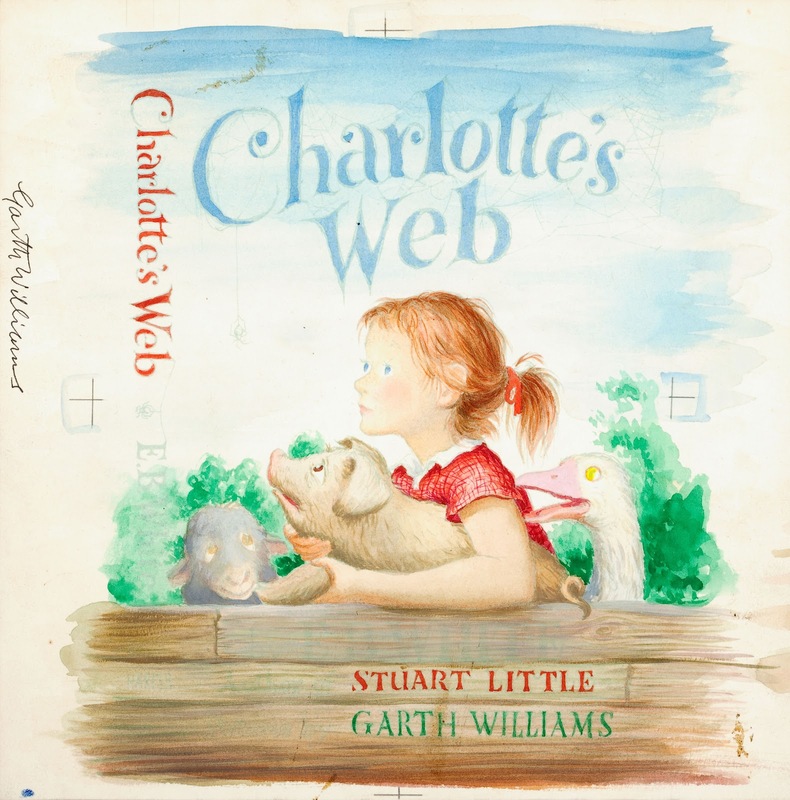 It was also a picture book manuscript-turned-into-a-middle-grade novel, later. 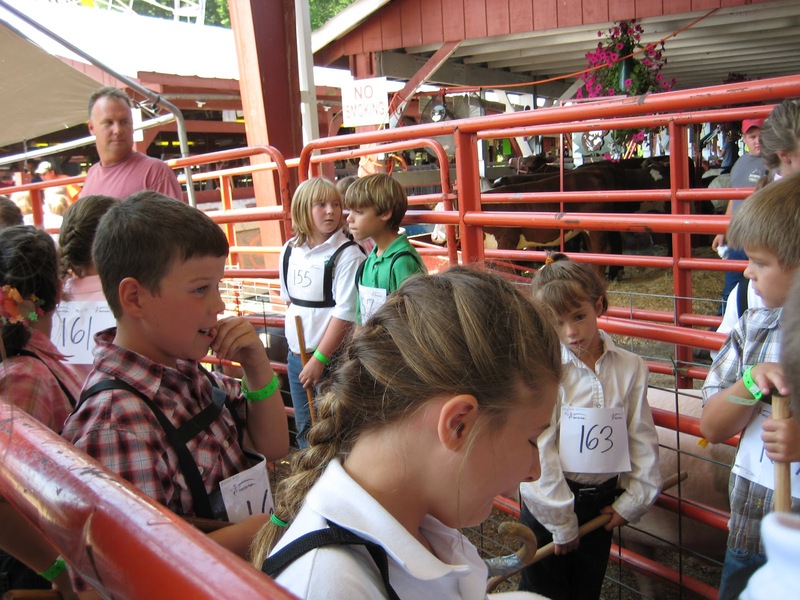 The Wayne County Fair in Honesdale, Pennsylvania begins this weekend, and it’s where I found my story. The tiny, rural community near Scranton also shaped the first ten years of my married life and enabled me to become a writer, in an office surrounded by cow pastures and wildlife I could see up close for the first time. I think about the hundreds of kids I watched compete at that Fair back then--sometimes for 10 days at a time--of how much I learned, and how they inspired so many characters in my novel, Little Joe. 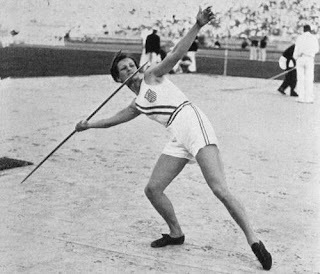 It’s quite a thrill to be doing research for a book about BABE DIDRIKSON ZAHARIAS when there’s an OLYMPIAD going on. A lot has changed for women athletes in 80 years and Babe led the way. 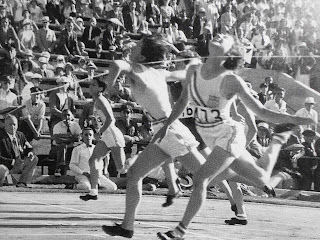 When Babe Didrikson went to the Olympics in 1932, it was just two days after she’d traveled to Evanston, Illinois to become a one-woman wrecking crew at the National Women’s Track and Field Championships. Babe tallied more points on her own than any team who competed, smashing records in javelin and hurdles, to baseball-throw. Babe also made her afternoon victories in the 100-degree heat look easy, (it was so hot, competitors took turns sitting on an ice block), but Babe was a whirlwind of energy and speed, running from one event to the next and easily winning the championship. Within 48 hours of her victories and as a newly-minted member of the U.S. Olympic Track and Field Team, Babe and her teammates left Chicago’s Union Station bound for California. Traveling in their own Pullman car, the train journey was considered a luxury and many had never been in a “sleeper” car before. During the five day trip, Babe was said to have driven the other girls crazy with her talk of winning. While the others politely played cards and acted modest about any potential victories, Babe ran sprints up and down the passenger car and playing the harmonica while the others were trying to sleep. When they arrived in Los Angeles a week before the Olympics, the women stayed at a hotel since the Olympic Village only permitted male athletes. 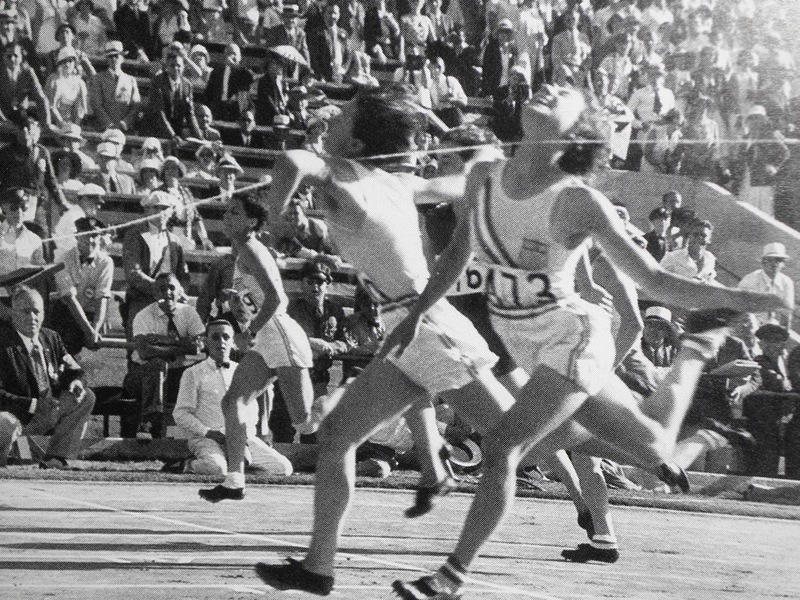 It was also just the second time in Olympic history that track and field events were open to women competitors, and they could only enter a maximum of three. There were still detractors (many of them sportswriters) who believed that women couldn’t physically handle competitive sports, and that it compromised their ability to have children. FIND OUT MORE ABOUT BABE AND HER OLYMPIC EXPERIENCE IN MY NEXT BLOG POST. “He’s honest,” says one resident. “We have no sales tax, thanks to him,” says another. 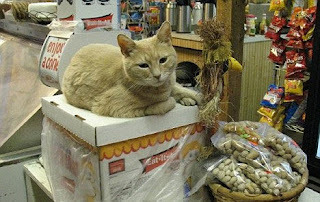 They were being given away in front of Nagley’s General Store–a cardboard box wriggling with litter of kittens, and one without a tail burrowing near the back. 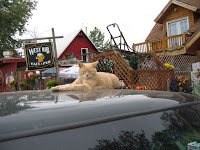 Lauri Stec, manager of the general store chose him to keep, and called the kitten Stubbs. 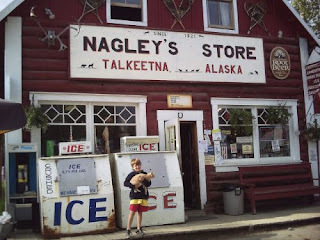 The fortuitous morning would bring happy changes to the Alaskan town of Talkeetna, population: 800 humans. It’s a town that people often pass through on their way to Mount McKinley, and where dogs are allowed to roam free and outnumber the human population. It’s also a place where residents speak their mind, and though the town is designated a “historic district” they still very much need and want a mayor who represents them well. Enter the kitten named Stubbs, who became a popular attraction at Nagley’s with the locals as soon as he made himself comfortable. So when the town voters weren’t content with any of the human candidates on the ballot in the mayoral election, Stubbs was written in as a candidate. Stubbs won. 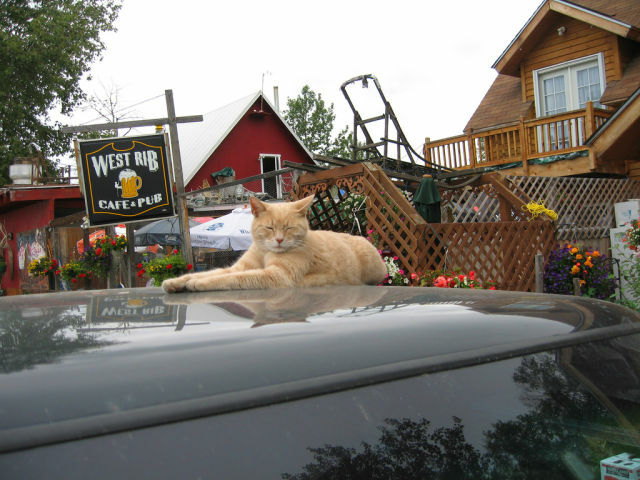 That was 15 years ago and during that time the kitten (formality took over once he became the “fat cat” of the town, so it’s been “Mr.” ever since) has taken Talkeetna from anonymity to a tourist attraction. 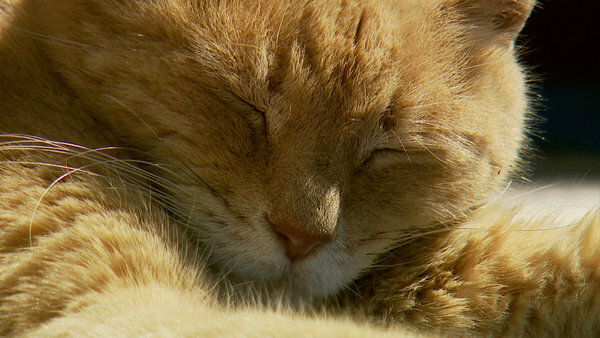 But if you think voting Mr. Stubbs in as mayor was only some kind of prank or a huge publicity stunt, well, the resident’s couldn’t be happier with their tax-free situation, or the fact that their mayor (who has a Facebook following of over 6,000 subscribers) is the talk of the town. Yes, the cat brings in tourists who want to meet the town’s feline mayor and shake his han—I mean, scratch his back or say hello. But after they do, they usually also have lunch at Mountain High Pizza Pie or the West Rib Cafe & Pub, and shop at stores, well—like Nagley’s. “He doesn’t raise our taxes-we have no sales tax, and he doesn’t interfere with business,” says Lauri Stec. And what about Mr. Mayor Stubbs himself? 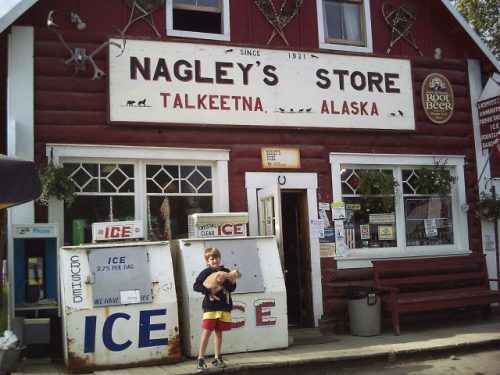 How does he feel about running a town since he was an infant, and about dozens of onlookers who come every day to Talkeetna, Alaska, just to see him? 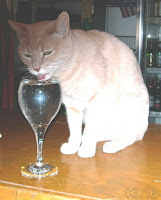 Rumor has it that some of this attention has made Mayor Stubbs as demanding at times as a human. Well, wouldn’t you want to have a few special tax-free–and in this case, mostly dollar-free–perks while enjoying your dream job? For Mayor Stubbs, that seems to be drinking water from a wine glass laced with catnip, and then curling up in front of one of the local businesses for a nice long nap afterwards–which seems to make both the town and its visitors very happy. I once read that revision can be like having your teeth pulled. I would also add that it can be like pulling teeth. 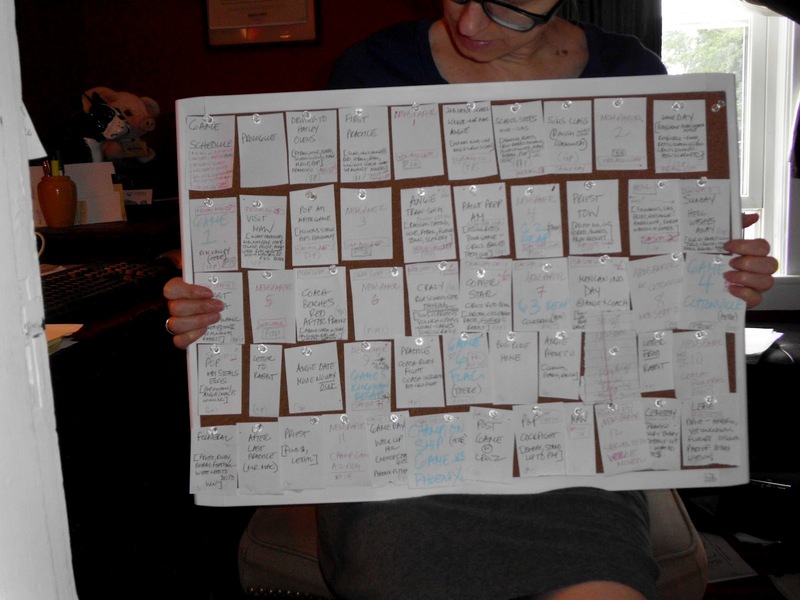 What I’ve done is make a bulletin board order of all the scenes in my novel (I love to do this actually), and the color codes all mean something to me. What it shows is the pacing of the novel and what scenes may be too cluttered before say, a game (my book’s about football), or how long it takes my characters to get where they ought to be. The push pins allow me to move things around, but of course when you do that you’re also in for a lot of trouble since when one thing moves you aren’t really just altering that one scene, you’re changing every reference and nuance that worked when that scene was in its original place. You need to move carefully, like a game of high-stakes chess. It also takes a ridiculous amount of time to move even an inch. E.B. White was born today in Mount Vernon, New York, in 1899. As I’m writing this, a tiny spider has spent the past week living on my lampshade and crawling around my desk in stutter steps. 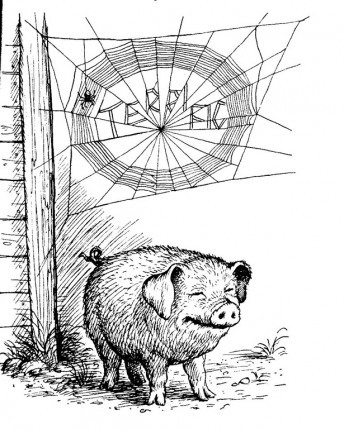 Of course whenever I see a spider, especially a tiny one, I think of Charlotte’s little spiders in Charlotte's Web. Like Fern with the runt pig soon to be named Wilbur, I’ve already saved this spider from impending death a few times. First, from being swallowed up by my keyboard (a quick turning over of the keys and a few shakes brought the spider out, from which he landed upside down but somehow righted himself. I’m convinced it is a he). And second, from being killed by me. I confess that when I first saw him stutter-stepping in between the lined paper of my revision notes I grew frightened, took the paper into the bathroom where I dropped him in the waste basket, only to feel guilty and find him again, gently coaxing him back onto the paper (this took three attempts) and then back onto my desk where he could crawl up my owl lamp and onto the lampshade where he lives. THAT’S THE IMPACT E.B. WHITE HAS HAD ON ME. 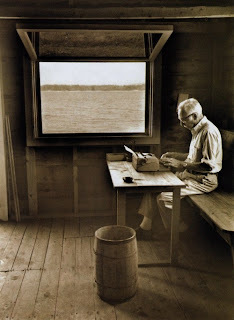 E. B White writing at his Brooklin farm in Maine. Rain fell in the barnyard and ran in crooked courses down into the lane where thistles and pigweed grew. Rain spattered against Mrs. Zuckerman's kitchen windows and came gushing out of the downspouts. Rain fell on the backs of the sheep as they grazed in the meadow. When the sheep tired of standing in the rain, they walked slowly up the lane and into the fold. Now doesn't that make you feel differently about sheep or at the very least, want to find out what pigweed looks like? As for how to write something in a grammatically acceptable way, I’ve also been carrying around a copy of The Elements of Style since I was a teenager. (White edited the definitive guide on grammar & style.) And I know I should be reading it more often than I do. In 1978, White was awarded a special Pulitzer Prize for his body of work as a whole. He died seven years later at age 86 of Alzheimer’s disease, which makes me sad. I wouldn’t have wanted him forgetting how much his work mattered to so many people, or how many lives he changed with his books. My love for animals grew because of him and does to this day. 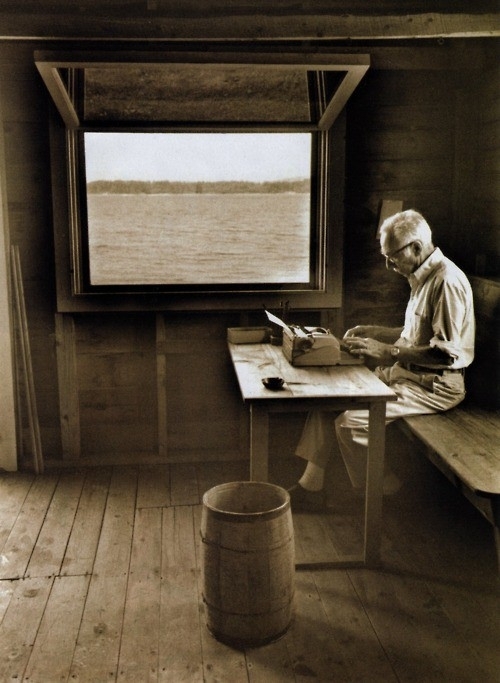 My love of Maine is also another thread that E.B.White wove into my life. And on the 60th anniversary year of Charlotte’s Web, and what would have been E. B. White’s 113th birthday, I encourage you to think happy thoughts about animals--including spiders--and to think about dusting off your copy of Charlotte’s Web and reading it again.